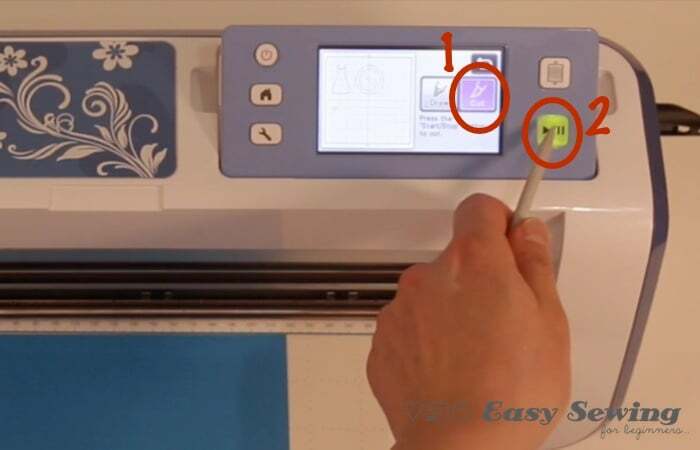 Even though it’s not exactly related to sewing, I wanted to put out a How To series of Scan n Cut tutorials for the ScanNCut machine so you can see the awesomeness of it. 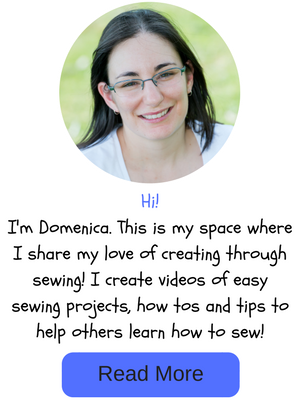 I will be doing videos on how to cut fabric with it as well so you can see exactly how you could use it in your sewing. 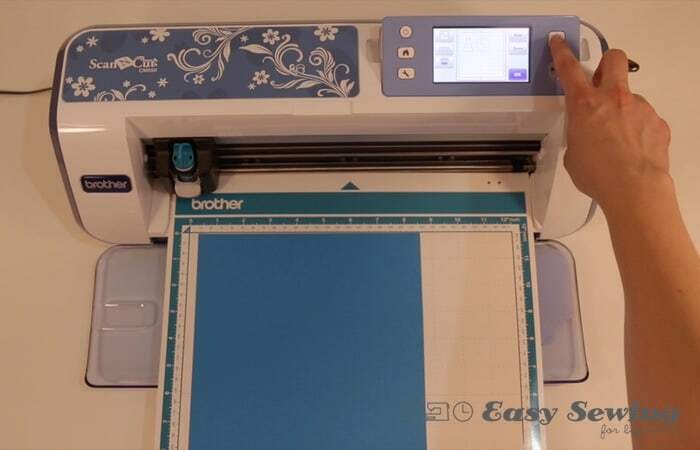 I recently bought this new machine called the Brother Scan N Cut with the intention of cutting fabric applique pieces from it and not all that much else really. Well, have I been having some fun over the past couple of months!! I’ve started making my own cards and I’ve even started playing around with heat transfer vinyl to make some custom print shirts for the kidlets (and one for Youtube, which you can see in the video below)! You seriously are only limited by your imagination….oh and time (not enough hours in the day….ever). So here’s my first tutorial for how to cut paper and cardstock going through step by step everything you need to know to do your first successful cut. Let me know what you think! Go into the pattern feature then choose a design from the built in designs. Choose one of the built in designs. Go through the options for size and how many you would like then select ‘ok’. 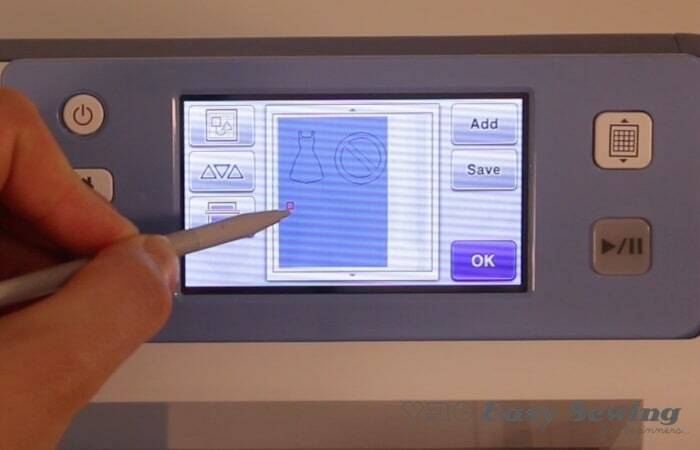 After all of that and you will have your design ready for cutting on the cutting mat on your screen. 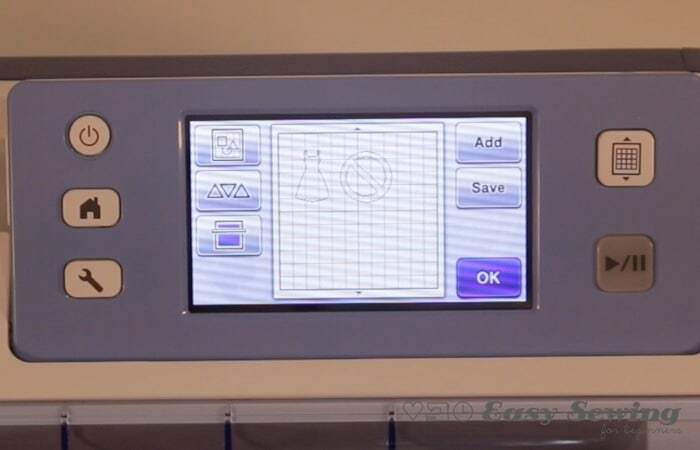 Select the ‘Add’ button (you’ll see it in the top right of the screen in the photo above) and go back to patterns by selecting the ‘Patterns’ button. 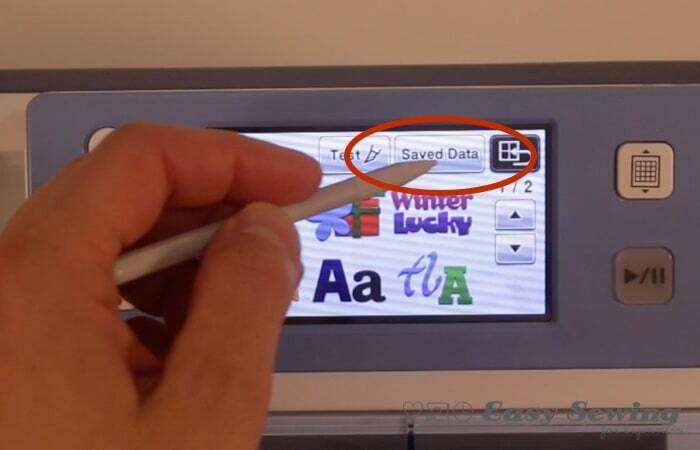 The option on the left allows you to choose a design you have previously saved to your machine or you can select the option on the right to access designs saved to a USB. I choose one of the designs saved to my USB and placed it onto the cutting mat on the screen. I also went back and changed the size of one of the designs as it was too large. Now it’s time to set the correct blade depth and check the other settings, like the speed and pressure, before we cut our designs out. 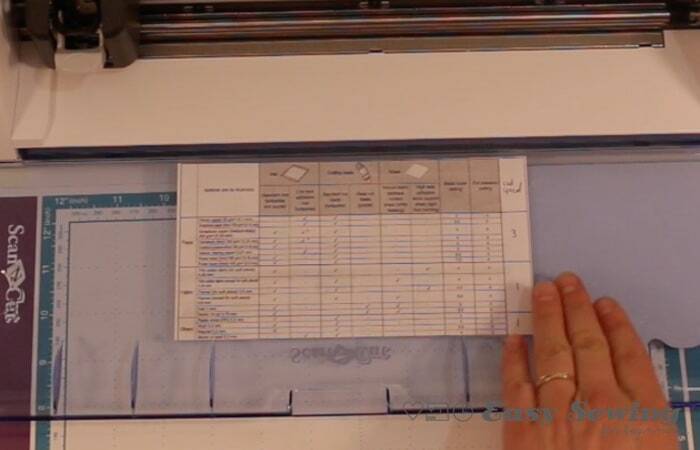 It’s all too easy to cut through the cutting mat if you haven’t checked these things with a test cut first. Handy tip: Locate your Quick Reference Guide and keep it in a handy spot to refer to easily. I look at mine all the time. 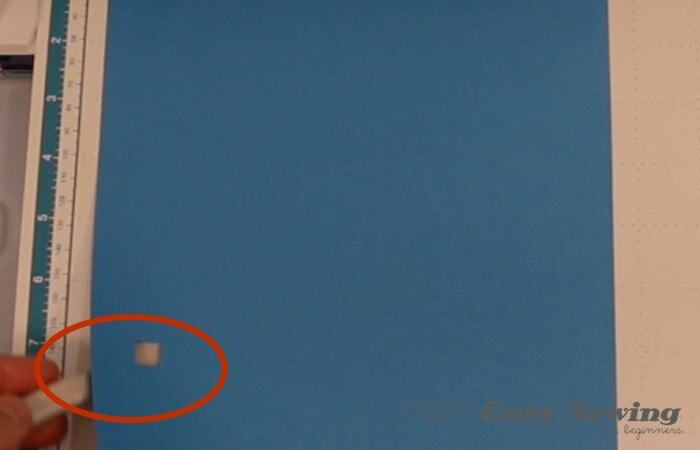 I ended up photocopying mine and blue tacking it to the inside flap of the Scan n Cut. I also added an extra column for Cut Speed, as I adjust this for some materials. 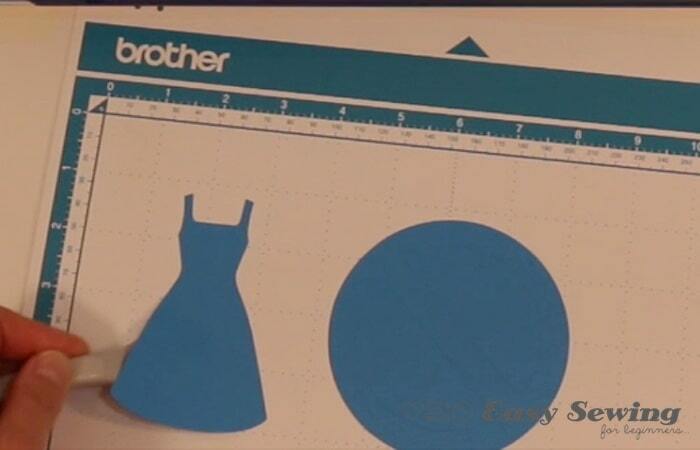 I’m cutting cardstock in the tutorial so it is recommended to start at a cut depth of 4. 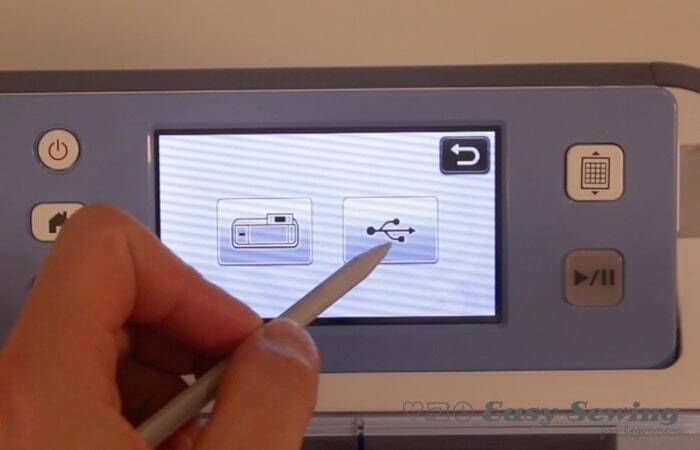 Extend the blade all the way out by turning the dial past 12 and them back again to the required depth. 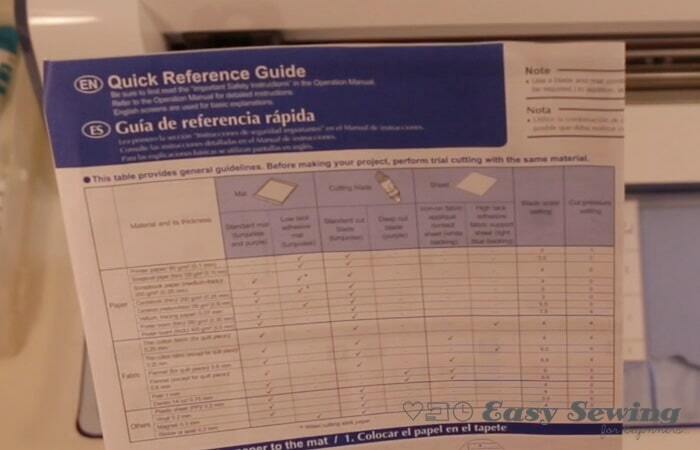 Remember: check the Quick Reference Guide to find the recommended settings for the material you will be using. Then it would be a matter of loading the blade and the holder into the machine and pushing the grey lever down to secure it in place. Check the settings and change if required. Hit the spanner (button on the far left, bottom) then scroll down to page 2 of the settings. 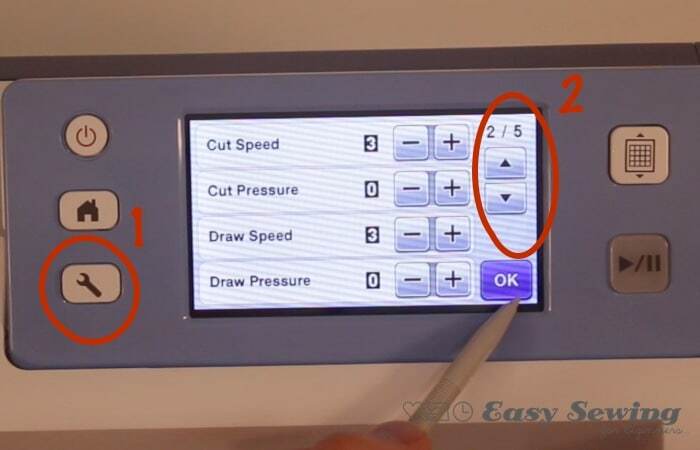 Here you can check the cut speed and cut pressure. Remove the protective plastic from your cutting mat, but don’t throw it away. You’ll need to place it back on top of your mat once you have finished cutting. Place the card onto the tacky surface of the mat and smooth over the paper/card with the flat side of the spatula to make sure it is stuck onto the mat. Load the mat into the machine by holding the top of the mat level just under where the cutting blade is then hit the ‘Load’ button at the top right. 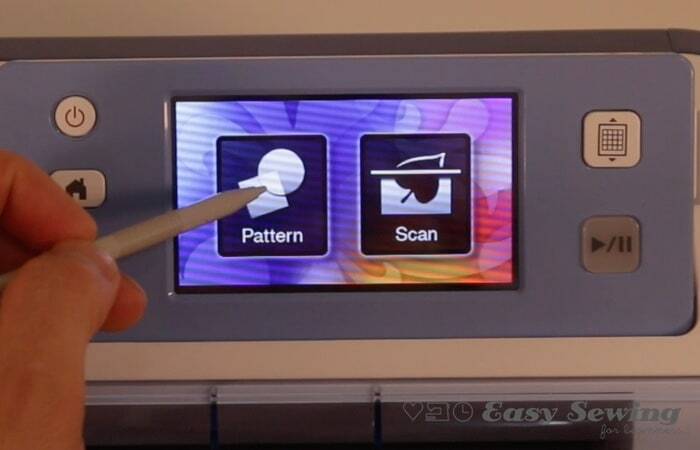 Scan in the cutting mat by selecting the ‘Scan’ option. 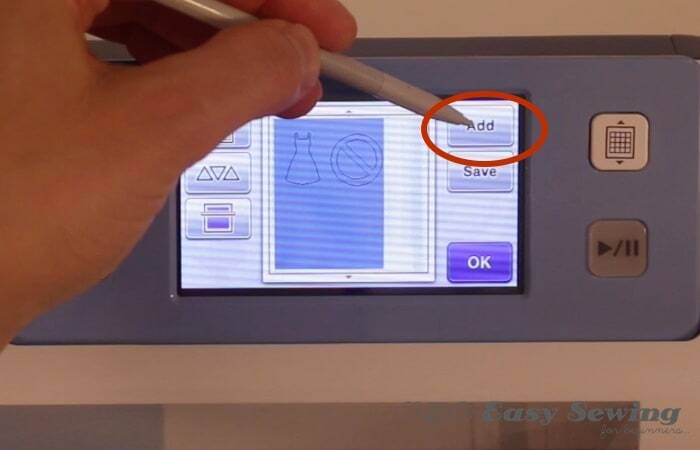 By doing this you can see exactly where your paper is on the mat and less chance of cutting right through it! Now it’s time to do a TEST CUT. Always do a test cut when you are switching materials, or you run the risk of cutting through your mat or not cutting the material deep enough. It might seem like a pain, but it’s worth the effort! Then select ‘Test’ at the top of the screen. When I test I generally choose the square and leave the size at the default settings. 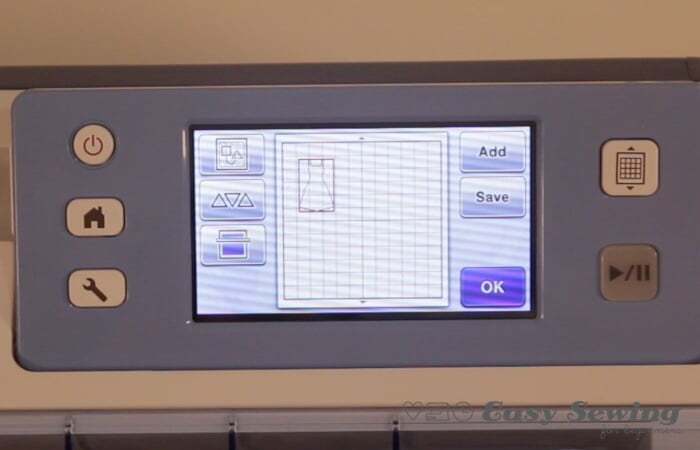 Work through the options until the test cut is on the final screen with your other designs. 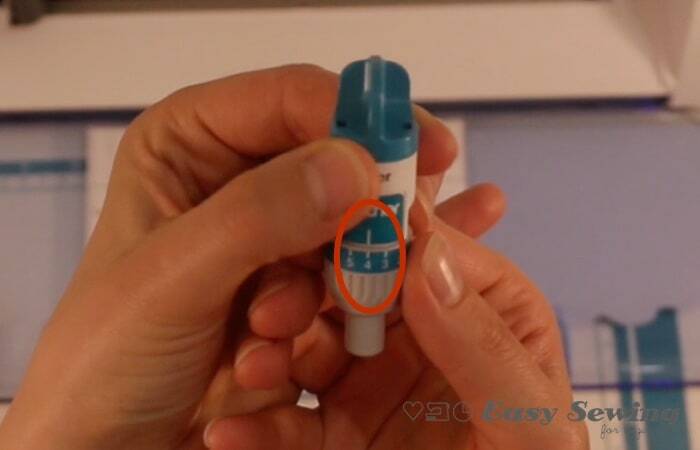 Move the test cut to a spot on the paper/card. I tend to do my test cuts at the bottom of the card, but so you could see what I was doing in the tutorial I’ve put my test cut in the middle of the page. 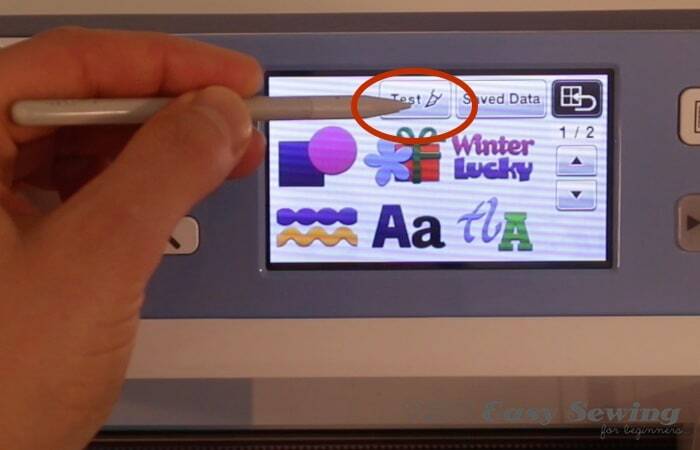 You can also use this opportunity to make sure your other designs are on the paper on the screen. Once you’re happy with where everything is select ‘OK’ in the bottom right of the screen. 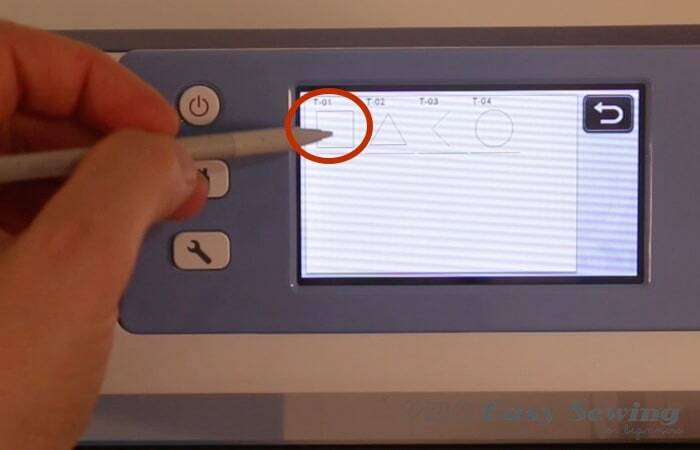 Select the ‘Cut’ option then press the ‘go’ button (green play/pause button) then your machine will go on with doing the test cut first. Use the little spatula to carefully lift the paper/card from the mat to see if the test cut has gone all the way through. If it hasn’t, select ‘Quit Cutting’ and go back to adjust blade depth and move the test square. If everything is all good then you are ready to hit ‘Go’ and continue cutting the other designs. 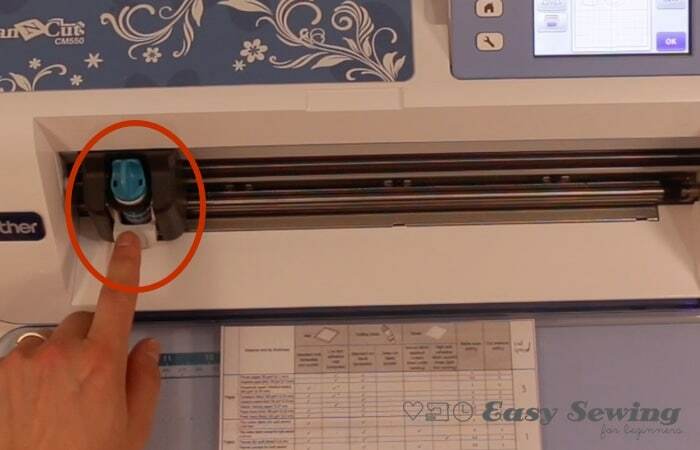 Unload the mat from the machine and then use the little spatula to lift off the excess card from the cutting mat. Then carefully lift off the the cut out shapes along with any cut out pieces still left on the mat. Don’t forget to replace the protective plastic back onto the cutting mat to help preserve the tacky surface. 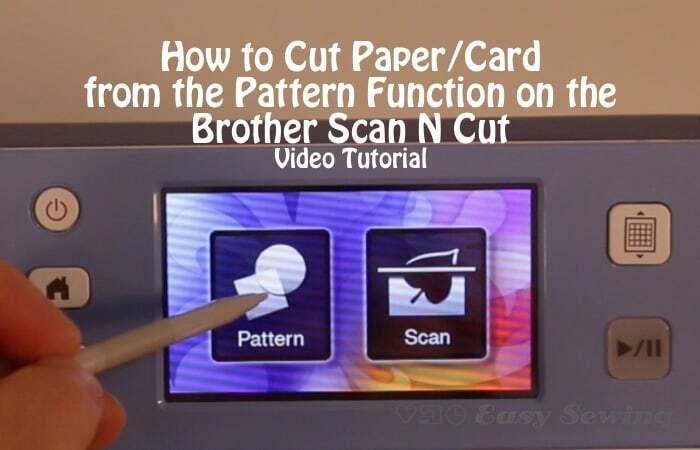 The tutorial for cutting paper or card with the Scan n Cut is now complete! 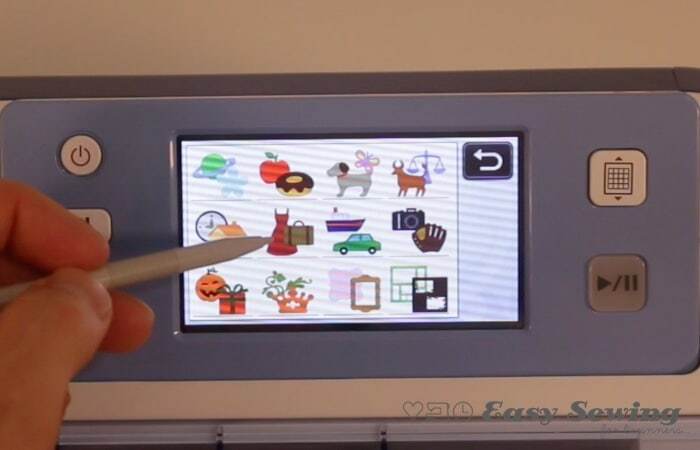 If you live in Australia you can now get the ScanNCut2 CM900 machine from Echidna Club Online. This is where I bought my machine from, although mine is the ScanNCut CM550. I bought mine a couple of months too soon! Not to worry, the general functions of the machine are still the same, you just get some new features with the newer model. I was very happy with the service, though. Living in a small country town, I don’t have the luxury of going into a local shop to look at and purchase a machine like this so I was really grateful that Echidna Sewing sell online. You can also check these machines out on Amazon* or eBay*. Just be aware that there are a couple of models available. I’d recommend the higher end model as you get more built in designs and most of the extra accessories with it. Subscribe to my email newsletter with the sign up box below to keep up to date with all my new Scan N Cut tutorials coming out in the very near future! P.S. If you see this * it means it’s an affiliate link and I may receive some sort of commission. Don’t worry, it doesn’t cost you a thing and I greatly appreciate you using any of my links when you make a purchase. Thank you!! ? Don’t forget to check out my other Scan N Cut Tutorials or go back to the Scan N Cut main page! New user found the tutorial excellent. Oh great! I’ll have more tutorials coming out soon. Have fun! Oh it’s a fantastic machine. It depends what you want to do with it I suppose. I’ve found it to be great value for me and I’ve learned a lot of new skills too ?